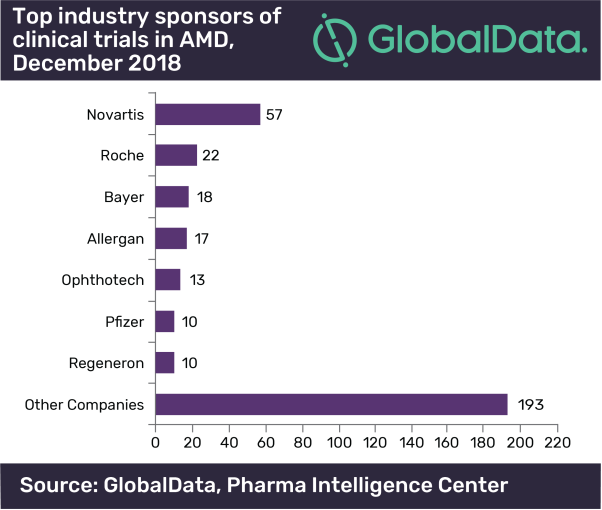 The age-related macular degeneration (AMD) market has been dominated by big pharma companies and their pipeline candidates are ensuring a share of this lucrative market, in spite of patent expiries of their highly-priced products, according to GlobalData, a leading data and analytics company. According to GlobalData’s report: ‘Age-Related Macular Degeneration: Competitive Landscape to 2026' the AMD pipeline consists of 236 drugs spanning all stages of development. Drugs inhibiting angiogenesis remain the major focus of drug developers for wet AMD as they account for close to 40% of the pipeline.